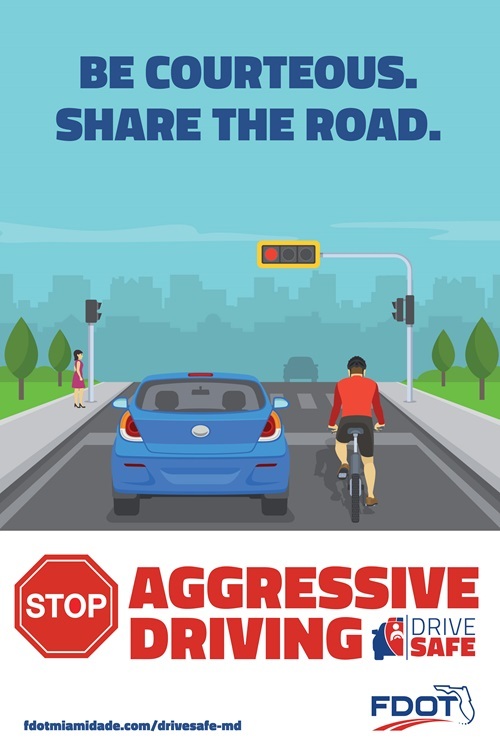 The Florida Department of Transportation (FDOT) Distric Six recently relaunched the Aggressive Driving awareness campaign for Miami-Dade and Monroe counties. How can I get involved and save a life? For more information and resources, please contact Carlos Sarmiento at carlos.sarmiento@dot.state.fl.us or (305) 470-5437. Campaign statistics and information from the following sources: flhsmv.gov, dot.state.fl.us, aaafoundation.org and ncsrsafety.org.